After a six year hiatus, the sibling trio of our dreams, the Jonas Brothers have made their comeback to the public eye in the release of their new song and music video, “Sucker,” which premiered on YouTube March 1. It garnered a staggering 68 million views in under two weeks, along with 30 million audio streams. It was the number 1 U.S. audio stream throughout all platforms. According to iHeartRADIO, “Sucker” is the first song debuted by a band to chart number 1 on Billboard’s Hot 100 of this century. As a group, it’s also their first single to chart number 1. Their return over the past few months has only been chatter and rumors until the release date, when the band took to Instagram to post an image of themselves in front of the royal Hatfield House with the caption “Sucker” in the bottom right corner. In my first listen of the audio, it was catchy and was great to jam to, but it felt boring as it progressed, and left me wanting more; it didn’t satisfy enough in one go. Sonically it sounds like something you’d hear in Hollister or Forever 21; catchy and fun, but lingers more in the back of your head. You’ll be intrigued, though the piqued feeling will soon deliberately ebb away. It’s very much a banger with great harmonies and uplifting beats. It’s a radio-friendly song that comprises of rock and pop sounds, which you can’t resist bopping your head to. It ends very abruptly which hits quite hard, although there weren’t any spectacular moments that make you feel like this song is what’ll be on repeat on everyone’s playlist, at least not in the first listen. Lyrics like “We change the weather, yeah I’m feeling heat in December when you’re ’round me,” and “You say the word and I’ll go anywhere blindly” sound like a fifth grader wrote a love letter to their crush, though they made it sound very heartwarming. Which then prompts to very lustrous lyrics that are quite sultry and, of course, it wouldn’t be a Jonas Brothers track if it wasn’t risque. However the music video spiced it up and made it feel different, it fed the hunger the audio alone may not have. Right from the start you’ll see an overview of where they filmed their video. The Hatfield House, built in 1611, which was also Queen Elizabeth the first’s childhood home. Seconds later you’ll witness the band singing to each of their lovers. It’s very sensual and at the same time it’s exhilarating. The visuals are very quirky in a good way as it elicits a very “Alice In Wonderland” atmosphere. In one scene, they’re all seen having a meal together as well as sporting crazy outfits and dancing. It’s like swimming in a pool of wackiness, luxury and sexual desire. Call it a beautiful homage to the center stage of their hearts. Each Jonas brother is in a relationship of their own with three glamorous women: Nick is married to Priyanka Chopra Jonas, a well known actress and singer, Joe holds the heart of his fiance Sophie Turner, also an actress, and Kevin married television personality and former hairdresser Danielle Jonas all the way back in December 2009. No more arguing with your bestie for which Jonas brother is whose. During the video, each couple had time to be shown off with very seductive as well as over the top crazy scenes. In some scenes each couple gets close to their partners and one scene in particular is when Chopra appears to strip while walking towards Nick. But in another, Joe and Turner are in a bathtub outside of the house, Turner appears classy whereas Joe appears very carefree and crazy. The video does shine a bright light on opulence, and it appears as if the leading ladies are enthralled over it. All of them are dancing and walking around with very dramatic looks. Everyone genuinely looks amazing strutting around with great attires. It’s like watching princesses and princes letting free to be abstract and happy. As soon as it ends, they’re all seen posing elegantly for a family portrait. Each of the shots throughout the video with the couples is very cool to see. You’ll notice how much each Jonas has grown and it’ll make you feel happy for them… unless they’ve stolen your heart. 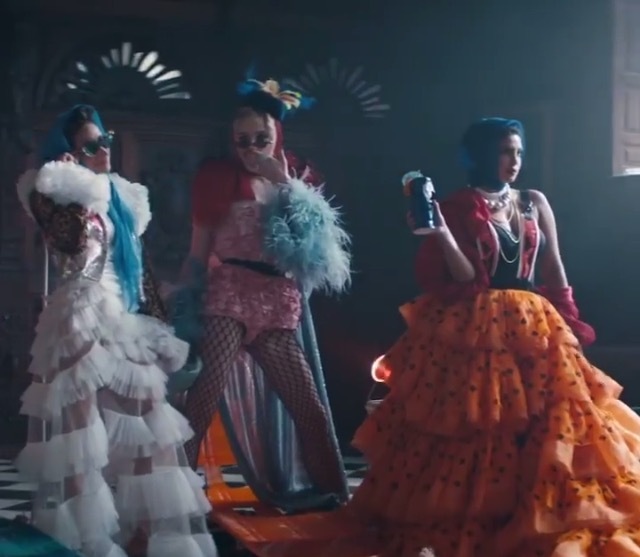 Conclusively, “Sucker’s” crazy and amorous visuals as well as catchy beats made it one enticing and triumphant comeback. It explores strong bonds along with fidelity, and does so in a way that’s comforting as well as entertaining. Congratulations to the Jonas Brothers for which they’ve claimed their first number one single on Billboard’s Hot 100. Merry wishes to the newly reinvented Jonas Brothers as they continue to live out their happily ever afters. 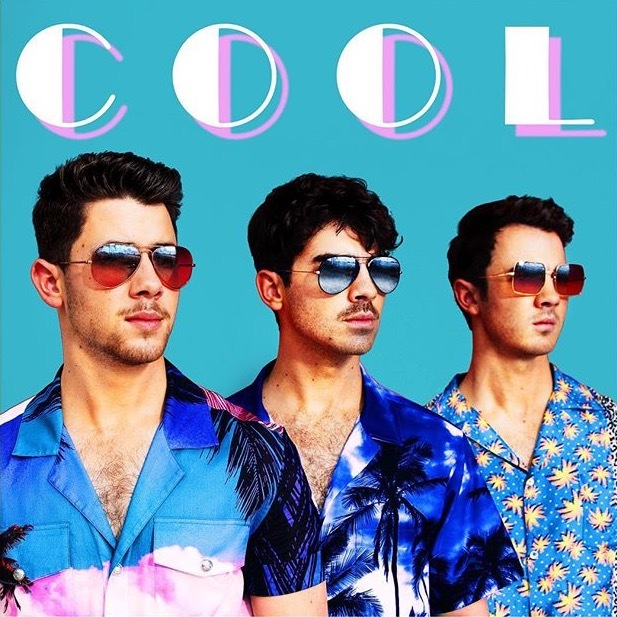 Jonas Brothers released “Cool” not long after on April 4, 2019. (Image via @jonasbrothers on Instagram). “Cool” has garnered achievements as well in the little time it’s been out. So far it’s been announced by Headline Planet that it’s been pop radio’s most added song, a warm welcome for the single and more to look forward to. It’s still making its way up in the charts from the help of support and endearing fans. Again, the song took time to grow on me, dull at first but amazing after. The music video gives a very retro vibe and is very summery as well, overall the music video is great and might be said the same from other fans. Fans now have more to listen to and look forward to what is in store in the future for the Jonas Brothers and how it’ll benefit them, the fans. Six years of absence, I think it is safe to say that it was very much worth the wait.